African art and masks of the Fante. 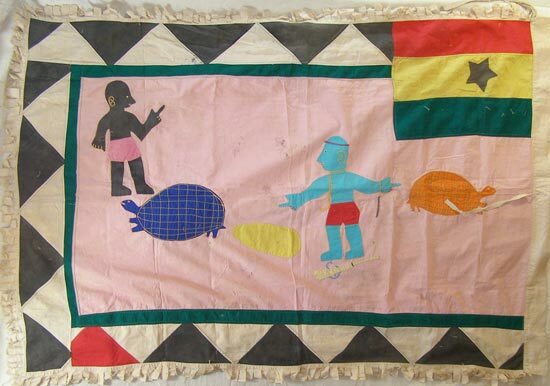 This Fante Asafo flag measures 60 inches long by 39 inches wide. 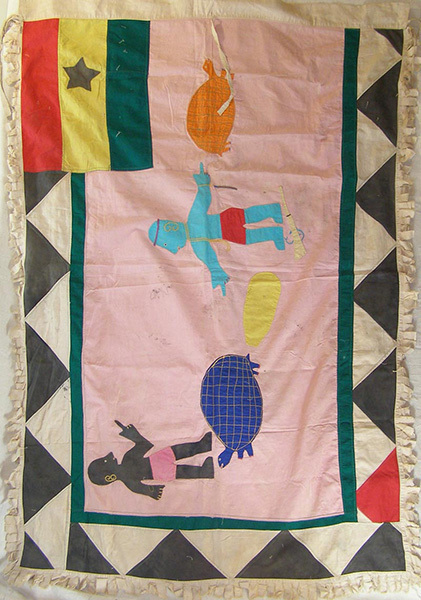 This flag predates Ghanaian independence.